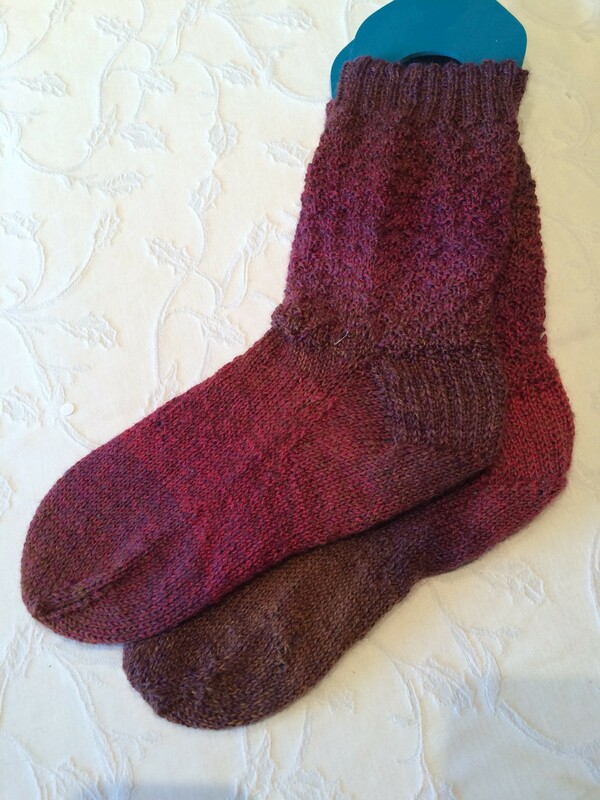 The socks are finished. Not perfect, but finished. I wasn’t thrilled with this yarn after I started the socks. I’m hoping they will soften after I wash them. But they are DONE! This is a busy month, so I’m not sure if I’ll start another pair right away. After we drove an hour each way to get some venison scraps and bones for the dogs, we came home to put it away, but will have to wait until morning for it to thaw just enough to separate it so we can freeze it in reasonable packages. So we made 5 dozen banana/oatmeal cookies. 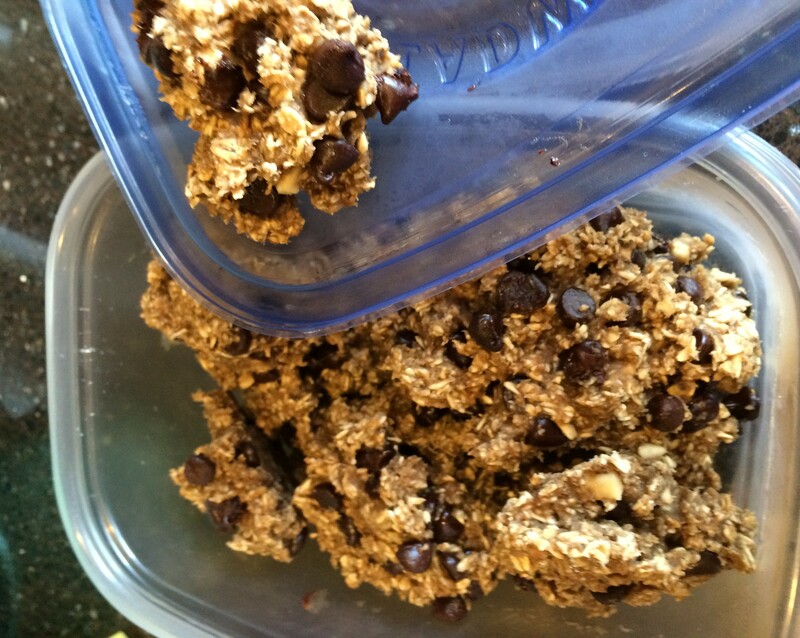 1 banana + 1 cup oats plus chocolate chips today. Bill likes these especially after a workout. 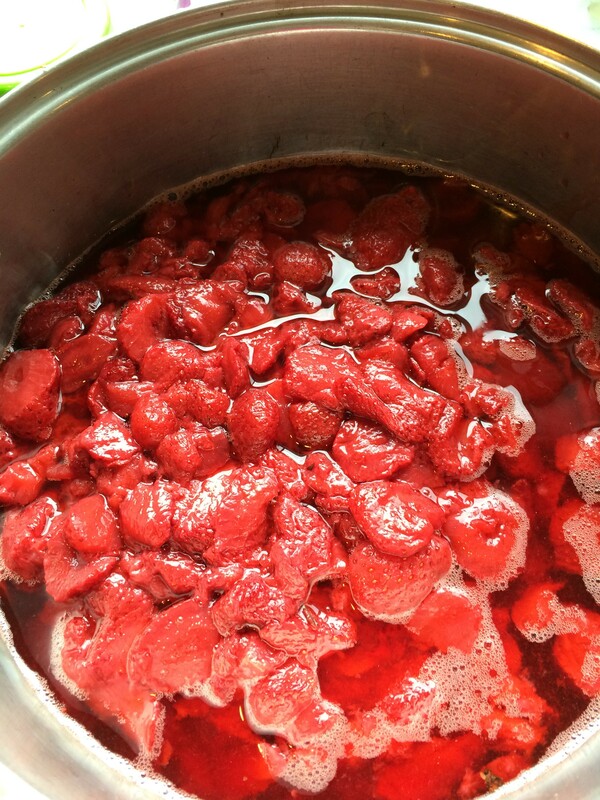 We needed more strawberry jam to have enough for the winter. And it is one more thing I won’t have to worry about if we lose power. So this kettle of strawberries turned into 16 cups more of jam. It is low sugar and so tasty. We are also trying to deal with time change. I don’t understand why, but it seems to affect how we feel – more tired. Maybe because the sun is going down at an earlier hour on our watches.